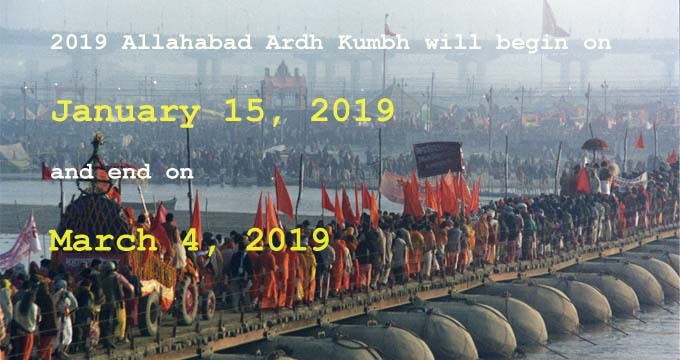 Kumbh mela tour package comprises of tour to Allahabad, the destination of Ardh Kumbh Mela. Arrival at Allahabad airport or railway station. Upon arrival our representative / driver will receive and transfer to the hotel. Afterwards explore the Kumbh Mela. Dinner will be served at the Camp in Allahabad. (Tented Accommodation) Hotel accommodation also available. After breakfast you have full day to explore Kumbha Mela and can take a Holy dip at Sangam. There are other options to explore like Hanuman Temple, Akshya Vat, Allahabad Fort and other places. You can also experience different camps of Akahras. Lunch and dinner will be served at Camp. Breakfast at Camp. Later you will be transferred to Allahabad airport/ railway station for onward journey.